You’re running a full bitcoin node, know Linux and have decent command line skills. Okay? Cool, go ahead and spin up a Docker instance. If that sounds intimidating, you’re not alone. But as recently as January, using the lightning network, a layer-two technology for scaling bitcoin, on “mainnet” – i.e., with real money – called for these rarified levels of technical expertise. Not to mention a strong stomach – bugs lurked in early implementations, threatening to part users from their funds (early adopters boasted of their prowess with the slogan #reckless). Luckily, the lightning network, which pushes transactions into off-chain payment channels, allowing the cryptocurrency to be received without waiting for a block to be mined or paying the associated miner’s fees, has moved ahead by leaps and bounds in the past few months. As such, hopes are running high. For instance, ACINQ, the company behind the “eclair” lightning implementation, unveiled an Android wallet app at the beginning of April that can be used to send mainnet lightning payments. But the app can’t receive payments yet. And Lightning Labs, the company behind the “lnd” implementation of the lightning network, recently published a blog post envisioning non-techy end-user Carol buying a pair of socks using lightning as easily as if she were swiping a credit card. In short, lightning promises to bring bitcoin back to the days when it could be used to buy a pizza. Indeed, the newest beta version of Lightning Labs’ lnd is, in fact, ready for mainnet use, but the company recently tweeted, “we recommend that users experiment with only small amounts (#craefulgang #craefulgang #craefulgang)!” playing off a joke in John Oliver’s recent bit about cryptocurrency. To minimize the risk for users, Lightning Labs has not released a mobile version, and the desktop app is still restricted to “testnet” – that is, fake money. Same with the lnd wallet for iOS called Zap; the lightning wallet, HTLC.me, developed by well-known developer Alex Bosworth; and another iOS wallet for lightning, called CoinClip, released by developer Kenneth Perry, aka thothonegan. Still, the frenzy of developer activity on lightning network will continue to push its rapid development, but for noobs – whom polite society calls “inexperienced users” – it’s still a waiting game. With that said, though, there’s still no official launch date for a lightning network application that everyday people can use. Would-be lightning wallet users will have to wait until several highly technical features – with strange names – are ironed out. In the way that the lightning network’s smart contracts are designed, it is possible for one user of a channel to steal another user’s funds. While it is risky – since if the victim logs on before a given amount of time has passed and notices, they can then punish the would-be thief by taking all their funds in the channel – Lightning Labs is going a step further, building watchtowers. These all-seeing nodes will watch the network and punish anyone who attempts to steal their counterparty’s bitcoin, in exchange for a small fee. Beyond that basic guarantee of safety, there are other improvements a wallet app would need to make before it’s ready for everyday use. For instance, several developers are working on a mechanism called “splicing,” which would allow a user that wants to send more bitcoin than they have available in their channel to bring additional funds into the channel to make the payment. 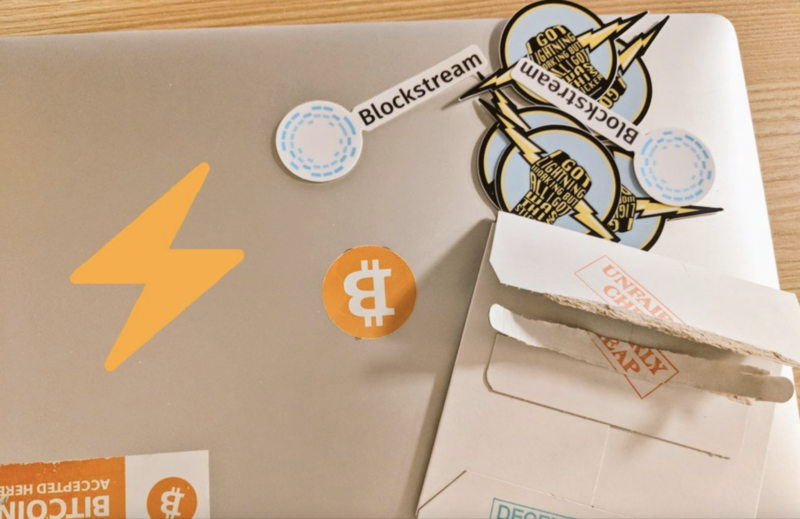 This mechanism is also being developed by Lightning Labs to enable bitcoin users without a lightning node to receive lightning-based payments. Then there are features that might not be totally necessary, but would certainly be nifty. Bosworth, for instance, is working on a feature called “submarine swaps,” a version of atomic swaps whereby one side of the swap is being done on-chain and one side of the swap done off-chain. With the use the lightning network’s ability to lock up funds in a smart contract, lightning network users could theoretically swap between bitcoin and litecoin, for example. The technology could, Bosworth believes, could enable lightning use on decentralized exchanges as well, since even though users need a “swap provider,” that provider “can’t take your altcoins without giving you the bitcoin back because of that lock,” Bosworth told CoinDesk. As important as this technical plumbing is, though, some argue that these are just the tip of the iceberg when compared to outstanding user experience issues. Case in point, Zohar thinks there are a number of problems with the lightning network user experience that don’t have solutions yet. For instance, when users create a channel, they need a certain number of confirmations to make sure its been accepted, and as such, the user needs to keep monitoring the channel. And while he admits the watchtower concept will improve this, that feature will likely take some time to be built into a sleek UX. An edge case, perhaps, but overall, lightning’s user interfaces are far worse even than bitcoin’s – though admittedly bitcoin’s had far more time – and even bitcoin’s user experience still isn’t that intuitive. That will likely continue to be the case, Zohar believes, since there just aren’t a whole lot of people working on UX for cryptocurrency protocols and technologies. Yet some, like Igor Cota, have noticed the problem and are working on it. For his part, Cota is working on a lightning wallet called Presto that would enable near-field communication (NFC) – the technology behind contactless payments which allow users to merely tap their mobile devices to payment terminals to initiate transactions.